Malnutrition costs Uganda an estimated US$899 million annually - as much as 5.6 percent of its GDP - according to findings of a new report. The report, part of a wider paper dubbed The Cost of Hunger in Africa, launched on 18 June in the capital, Kampala, was conducted by the Ugandan government with the support of the African Union Commission, the New Partnership for Africa's Development, the UN Economic Commission for Africa and the UN World Food Programme (WFP). Similar reports are planned for Egypt, Ethiopia and Swaziland. "Hunger and under-nutrition are both a cause and effect of poverty," Sory Ouane, WFP’s country director, said at the report's launch. "Cutting hunger and achieving food and nutrition security in Africa is not only one of the most effective means of reducing vulnerability and enhancing the resilience of national economies, it also produces high returns for social and economic development." Using data from 2009, the report estimated that child mortality associated with under-nutrition reduced Uganda's labour force by 3.8 percent. This represents over 943 million working hours lost due to an absent workforce, costing the country nearly $317 million. In the educational sector, the study estimated that 7 percent of repeated school years in Uganda are associated with stunting, representing 134,000 repetitions and an estimated cost of $9.5 million to the government and families. 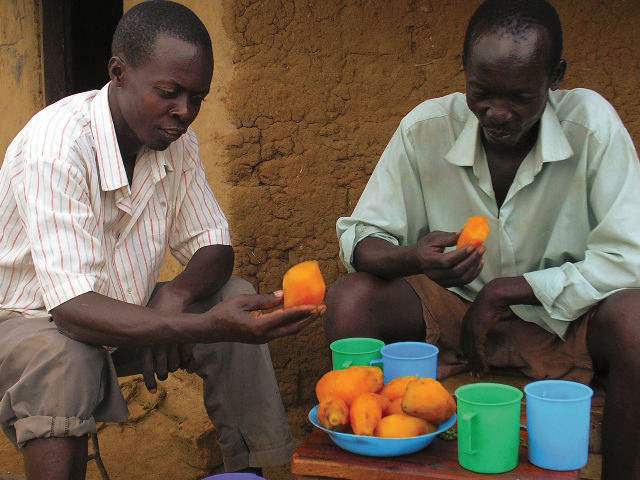 The study found that treating diarrhoea, anaemia, respiratory infections and other clinical conditions related to malnutrition cost Uganda $254 million, while losses in productivity reached $201 million in manual sectors like agriculture and $116 million in non-manual activities. People affected by stunting - which results from poor nutrition in the first five years of life - are more likely to be sickly, to perform poorly at school or drop out, to be less productive at work, and to die early. "When the child is undernourished, that child’s brain is less likely to develop at healthy rates, and that child is more likely to have cognitive delays," the authors noted. One out of every three children in Uganda are stunted, according to the report, while as many as 82 percent of all cases of child under-nutrition and related conditions go untreated. Some 15 percent of all child mortality cases in Uganda are associated with under-nutrition, and 54 percent of the adult population in Uganda suffered from stunting as children. An estimated 110,220 cases of child mortality associated with child under-nutrition were reported in Uganda from 2004 to 2009. Ugandan Prime Minister Amama Mbabazi called for urgent intervention. "The findings provide us with the evidence base for building a case for food security, communication, advocacy and policy discourse on nutrition," he said at the report's launch. "We can no longer afford to have high prevalence rates of under-nutrition... [The report] has given the justification for increasing investment in scaling-up nutrition interventions and ensuring the availability of food and good nutrition." Mbabazi said the findings would be a guide for Uganda's future nutrition policies to "prevent unnecessary losses of human and economic potential". "The study calls for urgent moves from governments in Africa. It encourages countries to set aggressive targets in Africa for the reduction of stunting," said Carlos Costa, one of the authors of the report. "To have a decisive impact, a comprehensive multi-sectoral policy must be put in place, with strong political commitment and allocation of adequate resources." John Kakitahi, a public health and nutritionist specialist at Uganda's Makerere University, told IRIN that some practical measures to reduce stunting included scaling-up the provision of fortified foods to schoolchildren and introducing fortified products - such as micronutrient powders - to improve food quality at home. "There is need for increased awareness campaigns on good food nutrition. The government needs to support sectors like agriculture for improving food production and promoting food diversification so that people eat a variety of food," said Elizabeth Madraa, fortification advisor with the US government's Strengthening Partnerships, Results in Innovations in Nutrition Globally (SPRING) project. She also urged the government to boost funding and human resources to support the Uganda Nutrition Action Plan (UNAP), which aims to reduce child malnutrition and stunting and boost exclusive breastfeeding by 2016. Yet parts of the country are currently grappling with food shortages that caused deaths and malnutrition. Uganda's first rainy season - traditionally between March and July - has been very heavy in parts of the country, causing crop-destroying floods, while other parts of the country saw little rain. A recently concluded disaster risk and food insecurity assessment undertaken by the government showed that crops, including staples like maize, beans and millet, had failed during the first rains. In Karuma Village, in the northwestern district of Masindi, farmer Cordildo Maya told IRIN that he had lost his entire crop. "I planted them in early April, but the sun didn't spare my crops this time," he said. "It's a worrying situation, and we have notified [the] agricultural ministry to advise farmers accordingly. Farmers need to plant quick-maturing plants and make full potential of the second rains," Musa Ecweru, State Minister of Relief and Disaster Preparedness, told IRIN. Ecweru urged people to limit the amount of food they sold and to use it to cope with the shortages instead. In the chronically food insecure northeast, food shortages are affecting school attendance and deaths from hunger have been reported. WFP is distributing relief food in the region. "We expect to reach an estimated 155,000 people, targeting children, [the] elderly, disable[d] and chronically ill," said country director Ouane in a recent communiqué. "However we have a funding gap of $2 million." "Karamoja has only one planting season, so when we miss it, it means hunger," said Adome Lokwii Kotido, chairman of Karamoja's Kaabong District. "The children and parents in the region are starving due to lack of food. The parents are struggling to provide food, but can't," Peter Aleper, member of parliament for Karamoja's Moroto Municipality, told IRIN.